The game of golf is in trouble. 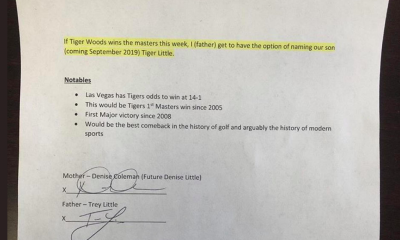 This is what organizations like the National Golf Foundation and various members of the national media have been drumming into our collective psyches over the last several years. Whether or not you’re willing to buy what they’re selling, it’s hard to ignore the obvious: participation is down and golf’s leading organizations are working overtime to convince the iPhone generation to take up a game that’s been historically slow to embrace new technologies and changes in societal behaviors. Peter Kratsios is the CEO of a tiny tech start-up with a huge idea. And on Memorial Day, he was also my partner at Eisenhower Park. We were playing the Red Course, one of three championship-caliber designs open to the public at this massive property just 28 miles east of New York City. We got paired with a couple of guys who would have gotten escorted out of any halfway decent country club. One of them was decked out in cargo shorts and a wife-beater; tattoos decorated his arms like sponsor logos on a Nascar driver. His companion was flicking ashes from what little remained of his cigarette and was disparaging the slow group in front of us in a tone guaranteed to offend the esteemed members of Bushwood in Caddyshack. Barely out of the gate, I began thinking about the long day in store for us. Words like misery and agony were running through my head. Peter, on the other hand, was probably thinking about opportunity and conversion. Kratsios is the man behind a product called GolfMatch that is available for Apple devices. 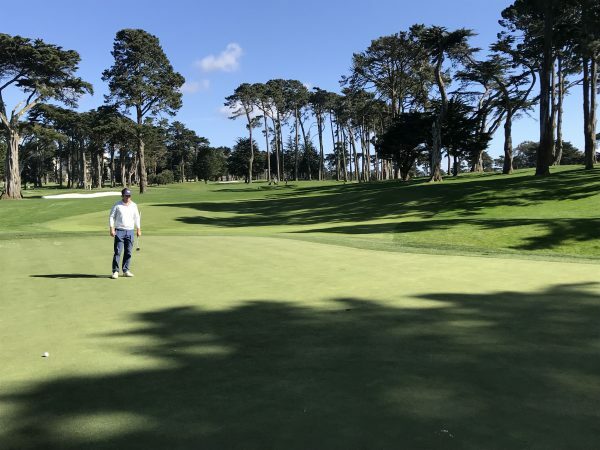 The recently-released application comes at a time when the marketplace for golf-centric apps has become increasingly crowded. 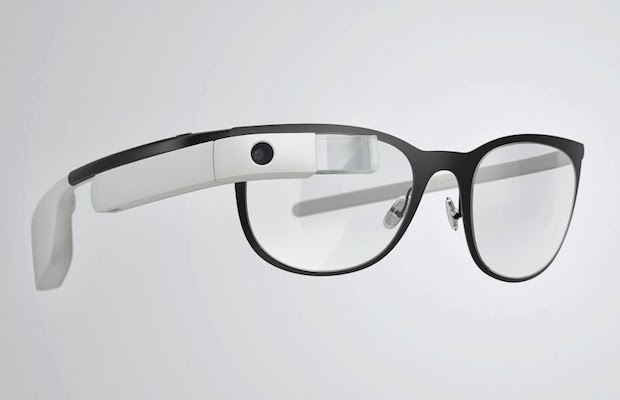 It seems like everyone and their cousin has an idea about how they can leverage technology to augment the game. 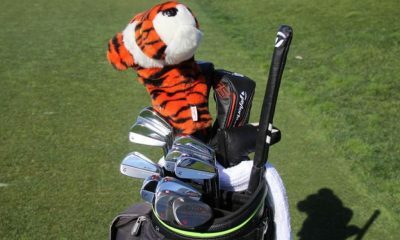 Competition is stiff for anyone introducing yet another scoring device, GPS tracker or swing aid. GolfMatch is uniquely suited to succeed because it’s none of those things. 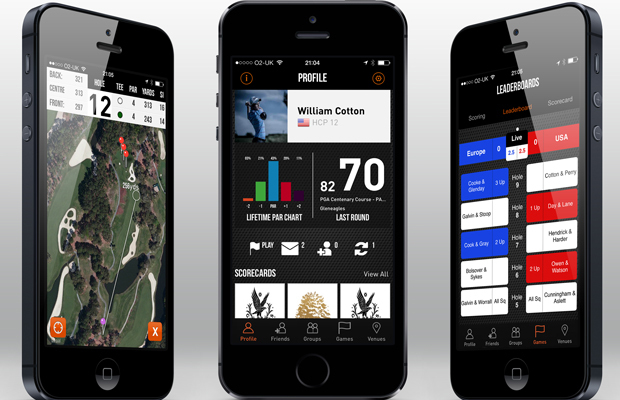 The app allows a person to discover other golfers in their area who are compatible with their playing style, handicap, age and other criteria. 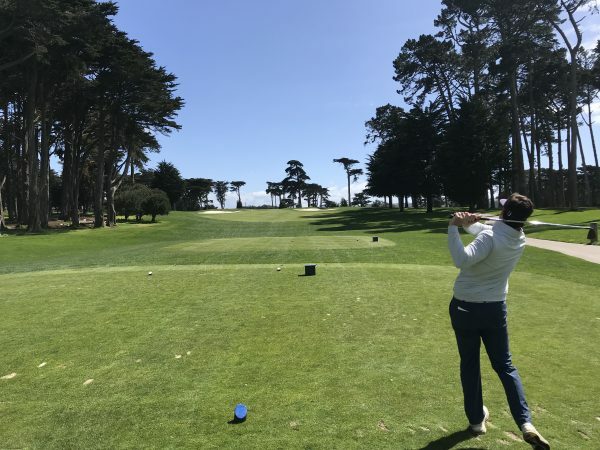 Essentially, it helps a golfer fill out their foursome from players with a common set of interests, eliminating the concern most people have about being randomly paired up minutes before a scheduled tee time. GolfMatch got its start, ironically, through a series of random events. Kratsios took a job in digital advertising just after graduating from college in 2011. 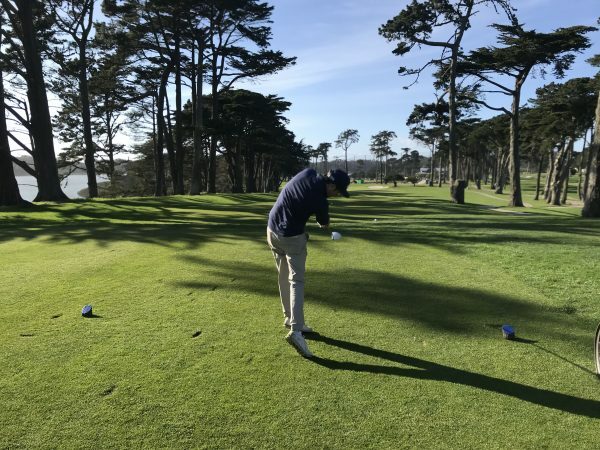 The idea for what would eventually become the GolfMatch app began gnawing on him shortly after he began working on an ad campaign for Nike Golf. He met his first partner purely by accident when he tried to sprint to the train station from his office in the pouring rain. Kratsios and Jessica Brondo met for drinks the following day and began working on concepts. The third member of the company, Julio Rivera, was discovered through an acquaintance. At the time, Rivera was a mobile developer at Priceline.com. As coincidence would have it, Rivera was developing a similar idea in his off hours. Kratsios recognized the situation for the opportunity that it was and brought Rivera on board as the company’s co-founder and chief technology officer. 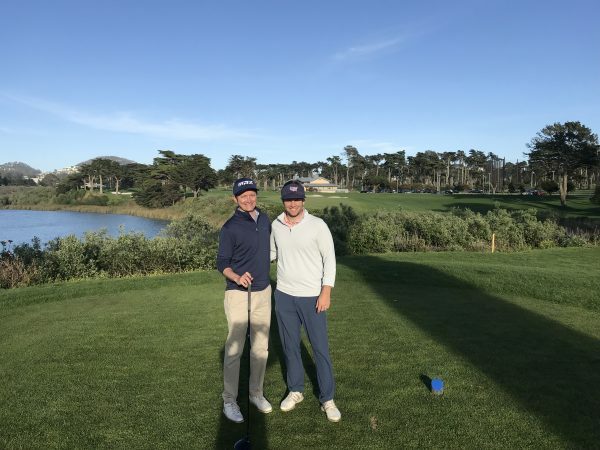 Together, the pair have complimented each other and Kratsios credits Rivera’s insights as a novice golfer as being a critical factor in helping to bring the app to market. It took me a good 20 minutes to navigate the maze of parking lots flanking both ends of Eisenhower Park. 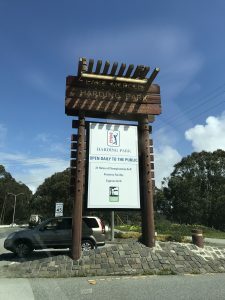 I thought I was lucky to find a prime spot near the driving range, but I barely had a chance to stretch my legs when I was told the clubhouse was across the street and that I needed to drive back into the busy two-lane road that cut through the property like a major artery. Kratsios arrived a few minutes later. It was my second time getting together with him and I was starting to recognize the signature spring in his step, the relaxed posture and the easy-going vibe. 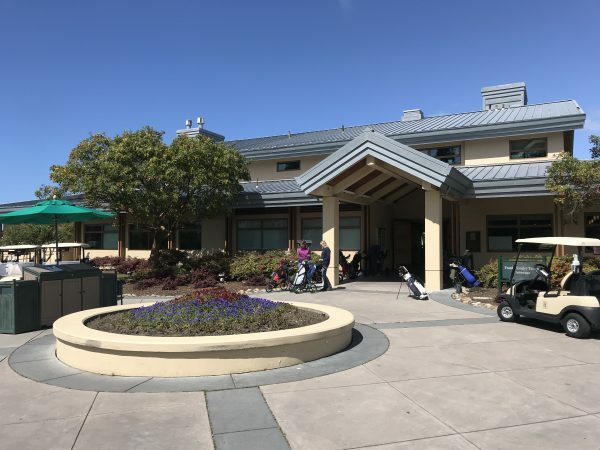 We made our way inside a red-brick building that wasn’t much of a clubhouse, even by public muni standards. The old-fashioned ticketing counters where customers made tee-time inquires and paid their green fees conveyed all the warmth of an off-track betting site. 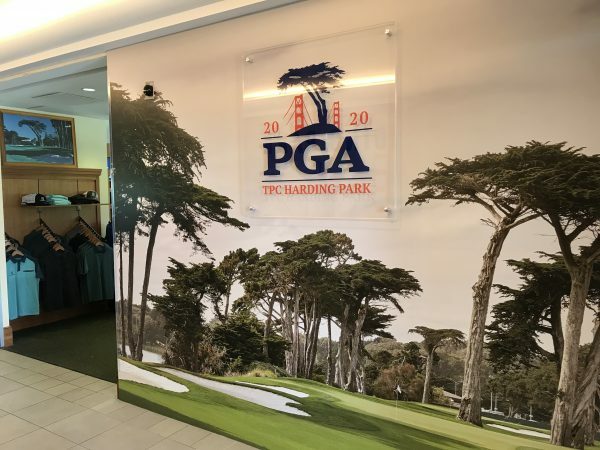 I was beginning to wonder how a place like this could have hosted the 1926 PGA Championship won by none other than the legendary Walter Hagen. In a friendly gesture, Peter placed a hand on my shoulder and told me not to judge the place until we were on the course. Growing up on Long Island, Eisenhower belonged to a rota of courses he competed on as a junior golfer. His introduction to the game came at age seven when a neighbor offered to take him to the driving range. Naturally athletic, Kratsios found the act of hitting a golf ball easy from the get-go. For a while he juggled baseball, basketball and golf; eventually, golf won out. He excelled at it first in high school and then at Gettysburg College, starting all four years on the school’s NCAA Division III varsity team. These days, he channels his competitive nature into running his fledgling start-up. 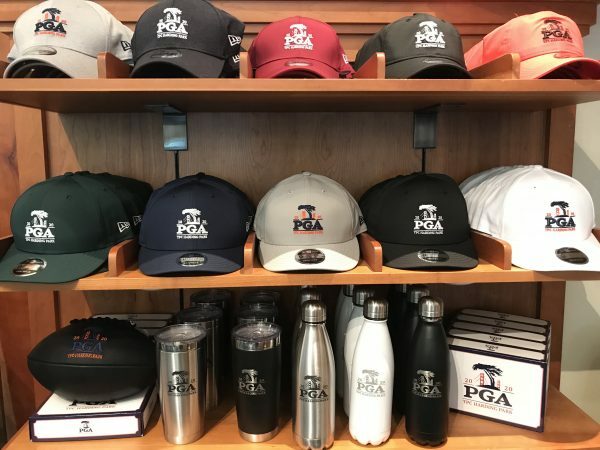 Although he belongs to a private country club on Long Island’s North Shore, more often than not he comes out to places like Eisenhower, Bethpage or Van Cortlandt where he can get his company’s product in front of course owners and potential customers. Relationship-building, Kratsios told me, is the key component for making GolfMatch a success. 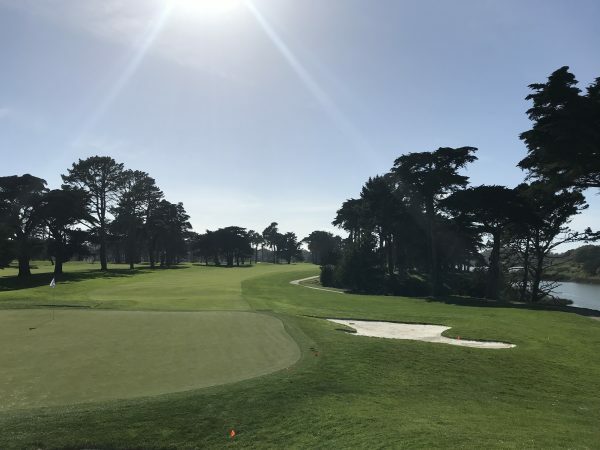 The software app that he and his partners have built can help course operators better identify golfers who have either played their courses or are considering playing them in the future. To put it plainly, a lot of munis need all the help they can get. 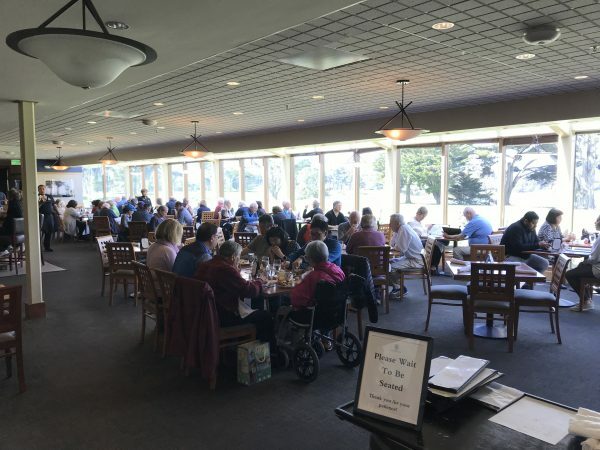 Within Long Island alone there remains a handful of clubs that don’t take advantage of an automated tee-time reservation system. And even among those facilities that are technologically in step, most use a trial-and-error approach to find ways to incentivize people to come back. 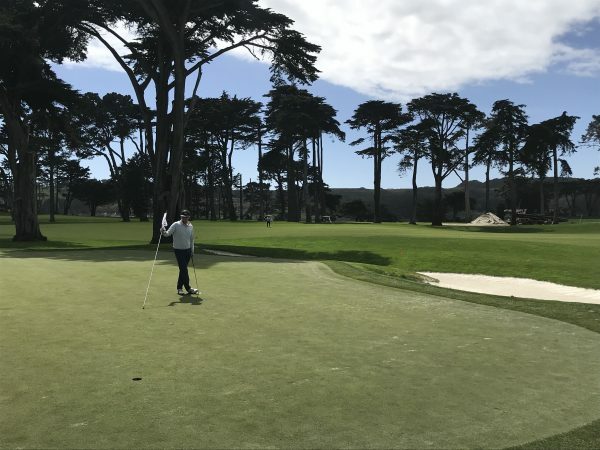 For a small service fee, GolfMatch helps course owners design and distribute bi-monthly marketing campaigns to a targeted list of golfers who have played or wish to play that course from data collected in the app. 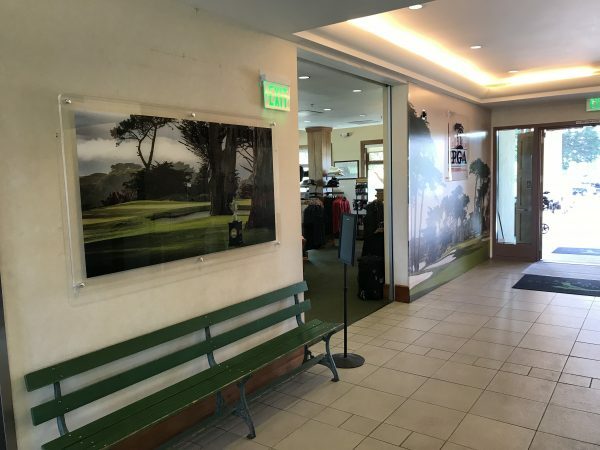 For course owners, these campaigns drive awareness to their properties, increase retention among existing customers and ultimately lead to additionally sold tee times. There are about 2,000 active accounts on the GolfMatch platform. Rather than spend money on traditional marketing, Kratsios has leveraged social media, specifically Instagram, to connect with early adopters. “We really pride ourselves on the community we’ve built on a social basis,” Kratsios said. The GolfMatch Instagram account has over 8,000 followers and each post generates hundreds of likes. It’s a simple and effective way to connect with a broad spectrum of golfing enthusiasts. Like other entrepreneurs in the golfing industry, Kratsios is passionate about increasing participation in the game. Although he’s young and tech-savvy, Kratsios has some old-school views about how the game should be played. 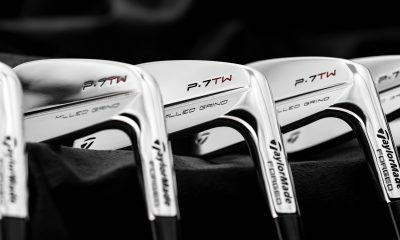 He applauds any effort by an individual or organization to get people interested in golf, but he’s not personally enthused about courses altering their greens by cutting holes the size of dinner plates, as TaylorMade’s “Hack Golf” initiative has supported. He conceded that the game can be outlandishly expensive at times, and it’s certainly difficult to play at a high level, but those factors on their own aren’t driving people away or keeping new ones from taking it up. But combine those things with individuals consistently having lousy experiences on the course and you have the makings of a mass exodus. 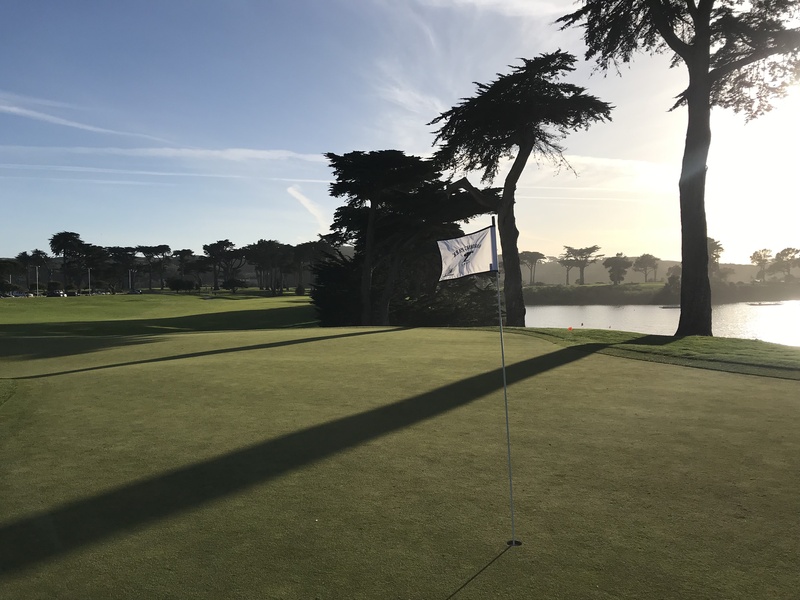 Over the course of five hours, our playing partners turned out to be reasonably good companions, offsetting what they lacked in playing ability. Although they didn’t look the part, they were no less enthusiastic about the game than any of the old-money members of Shinnecock. With all the holdups we endured between holes, there was plenty of time to make small talk about golf (do fans really miss Tiger?) and about courses (how tough is Bethpage Black?). As we all know from experience, a blind pairing works out fine on occasion; most times it doesn’t. If you’ve ever teed off with a golfer who hits a 5 iron farther than you hit your driver, then you know what I mean. A better player hangs out in the middle of the fairway waiting to play their approach while you spend a chunk of your round communing with squirrels. Sometimes it’s not a mismatch of skill, but of attitude. 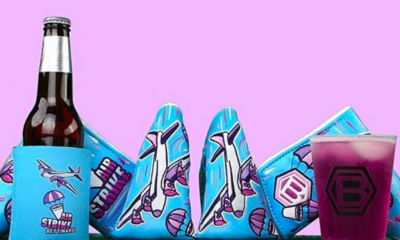 You can’t expect a foursome to function if half the players show up to the course to play for bragging rights while the other half are there to socialize, chug beers or smoke blunts. 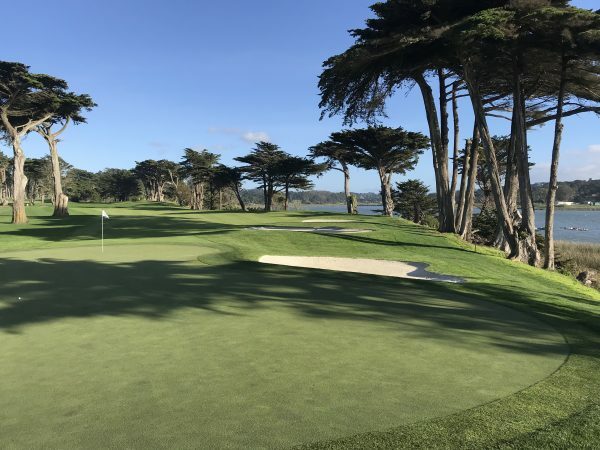 Insofar as the GolfMatch app is concerned, it might not always suggest a perfect foursome, but it has parameters in place to help an individual discover other golfers who view the game as a way to compete or a way to have fun, or anything in-between. 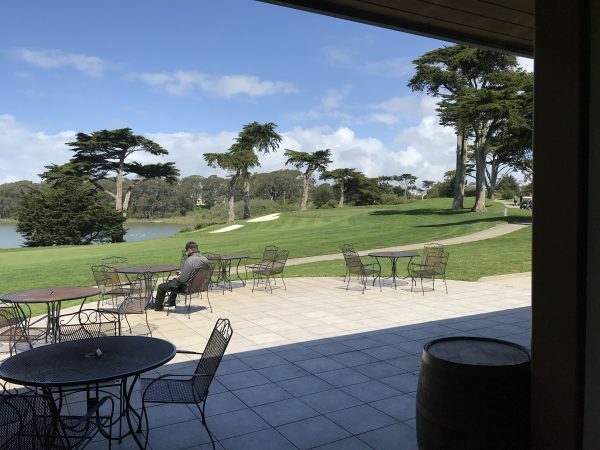 There wouldn’t be much to the GolfMatch story without the actual software app that Rivera, the company’s technology partner, coded entirely on his own under the duress of high expectations and demanding time constraints. Given those circumstances, the initial release was naturally light on features. 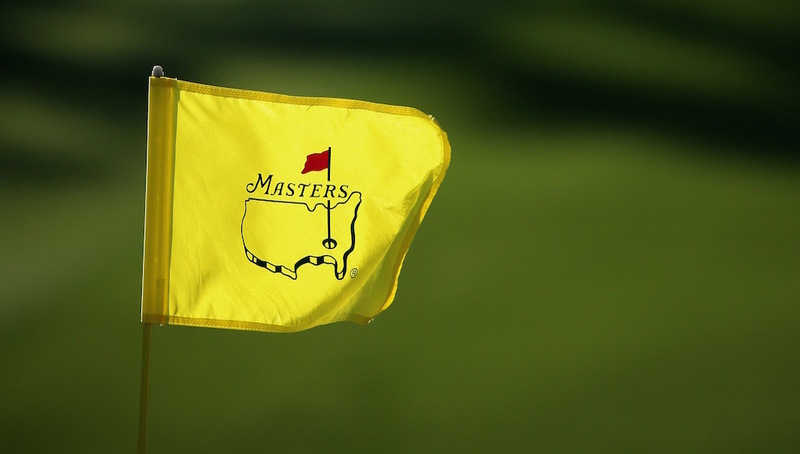 The app allowed a person to search for other golfers using a limited set of filters. The same approach applied to finding courses nearby. 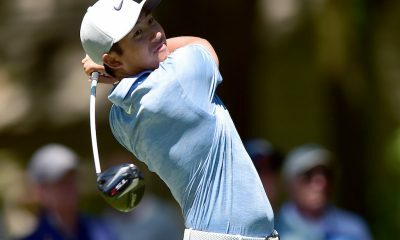 If you wanted to connect with a golfer, you clicked a button to follow them and crossed your fingers. Attempting to schedule an outing with other GolfMatch users was a crapshoot: a message to your followers may or may not have gotten noticed. 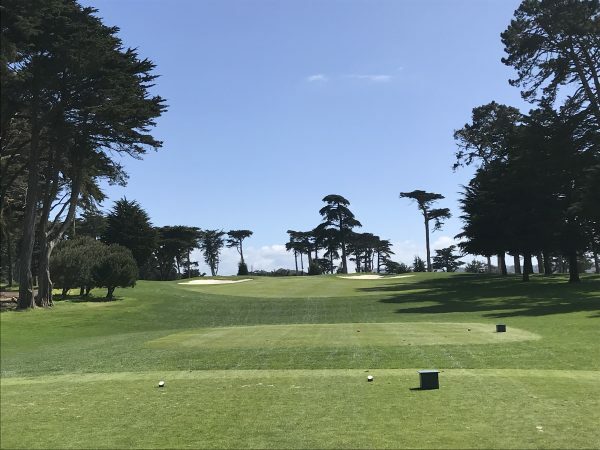 Still, even with limited functionality, Kratsios was able to get members of the golf industry and investors excited about the app’s potential. 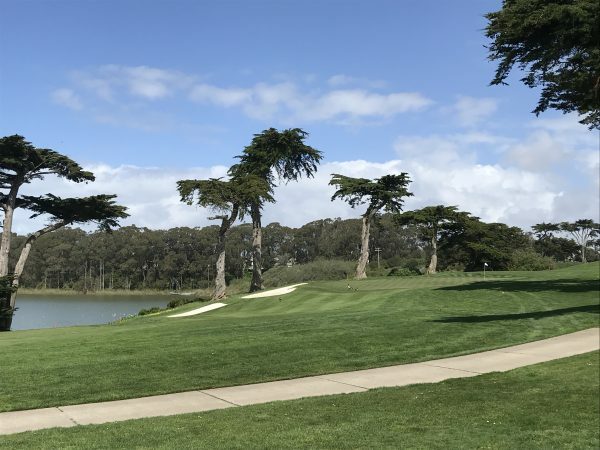 With the recently-released second iteration of the app, Kratsios and Rivera are planning to blow people away with a bevy of features that expands the software’s capability beyond that of a simple rolodex of golfing buddies. The new match feature lets users look for pre-existing matches or post new ones to the platform. Once a match is created the owner can fill out the slots in his or her foursome from a list of friends, even from contacts who do not have profiles on GolfMatch. Schedule a day and time for your match and a push notification will be sent out to users who have been invited to participate. If none of your personal contacts are into golf and you don’t know anyone on the platform, simply post your match to the GolfMatch community at large. A new set of filters help users discover public matches based on location and distance, as well by course name, or type of game (friendly, competitive, wager, family, or networking). If a match catches someone’s eye, they’ll make a request to join. The experience of creating and filling matches has been engineered to be as seamless as possible. If one of your invitees drops out of your foursome, the match can be resurfaced. 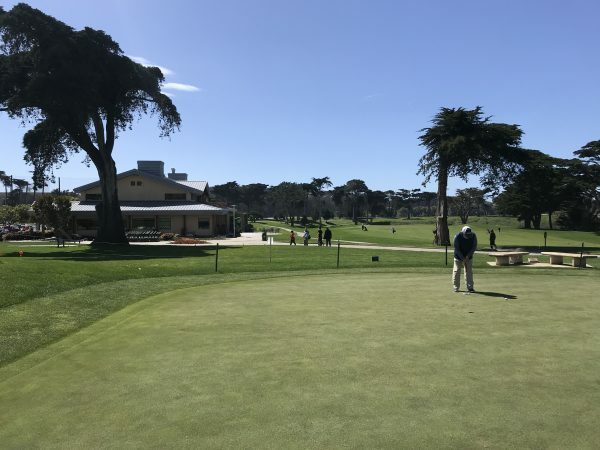 “This allows the match to potentially get filled and to provide revenue for the golf course so that the tee time and green fee isn’t lost,” Kratsios said. The only way setting up a match could be any easier is with a built-in tee-time aggregator, and if you don’t think Kratsios is working on making that happen, then you’re underestimating his resourcefulness. If anything is going to prevent GolfMatch from fulfilling it’s potential, it’s the glacial rate of adoption. As Kratsios was quick to point out to me through our closing stretch at Eisenhower, the success of the platform hinges on being able to cultivate a large-scale community. To that end, Kratsios has struck up relationships with Ship Sticks and the PGA Tour Superstore. These opportunities, and others like it, expose the GolfMatch brand to a highly coveted list of customers. 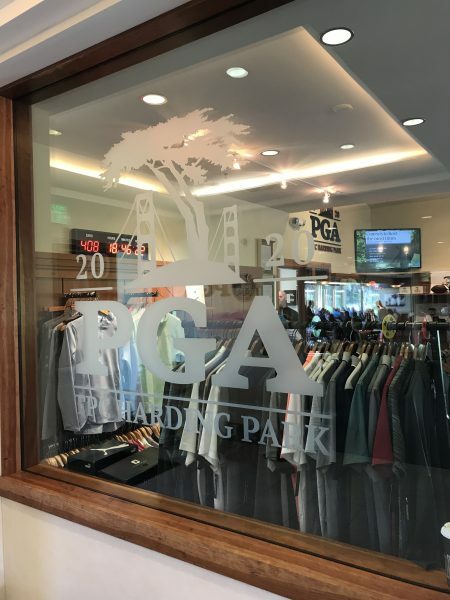 In return, the GolfMatch platform allows these businesses to offer an on-the-course experience that complements their brick-and-mortar operations. Kratsios is unabashedly proud of what his team (which has fewer members than most rock bands) has been able to accomplish in just 12 months. Although he’s only 25, Kratsios has all the characteristics of a classic workaholic. He sleeps with a plugged in iPad by his side, “cause you never know” as he said. 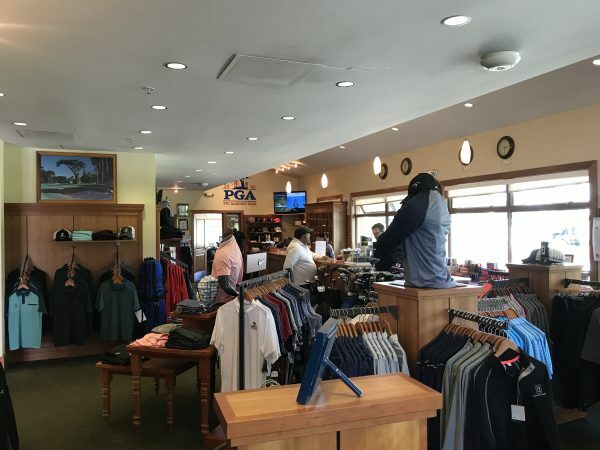 Even the golf course, which has always been a refuge for him, now doubles as a place of business. Kratsios keeps his golf bag stocked with extra tees, balls and plenty of GolfMatch paraphernalia. It’s not uncommon to see him attaching marketing materials to the steering wheels of unattended golf carts. He acknowledges that running a start-up isn’t easy or glamorous. On the teeing ground on the last hole at Eisenhower, Kratsios implored us to bear down and go for par, but it didn’t play out like a scene from Hoosiers. The less accomplished members of our group recorded doubles and triples. Even Peter wrote a bogey on his card. Out of the four of us, Kratsios was the only one who didn’t need advanced arithmetic to tally up his score. It’s not about what you shoot, Kratsios told me afterwards. Easy for you to say, I said. Dismissing my wisecrack, he told me the game of golf will be fine. The secret to its longevity and resilience is the camaraderie people develop when they take up the game. 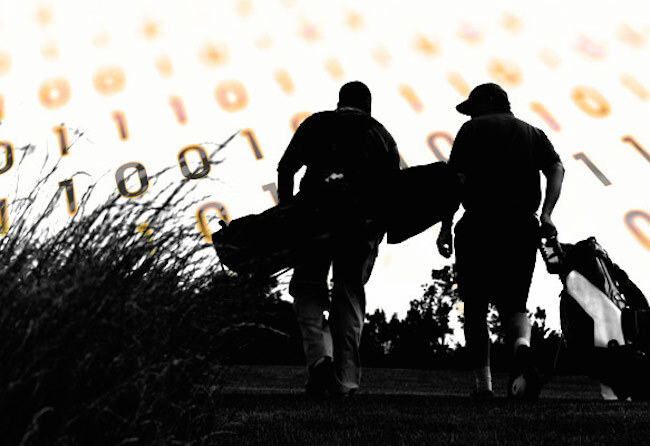 It’s no coincidence that GolfMatch is an attempt to do just that. This app is just another waste. If I go to the course alone I want to play alone. If the course wants me to play with people I do not know, guess what I go somewhere else. I do not like playing with strangers. Being in SC also, we do not have overloaded golf courses like in NY…so this app again is a waste in that regard. 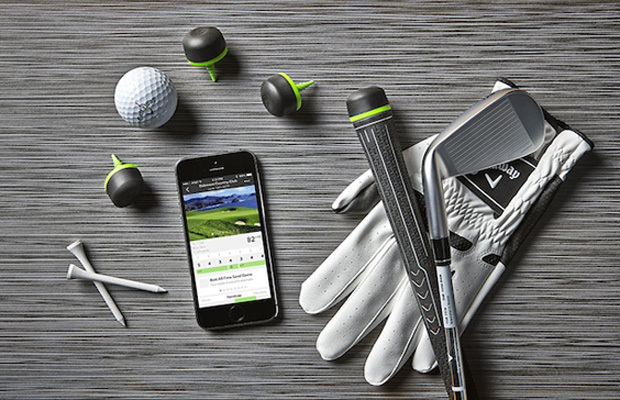 the app that should be presented is showing people how to play golf faster. When your partner is in the sand trap hitting or where ever, don’t sit there in the cart and wait for him to finish before going to your ball. Grab a club, go to your ball, be ready…your partner once he is finishes comes to you…just this simple thing can speed up rounds a lot. And golf is down because disposable income is nowhere to be found. What killed golf was higher gas prices. For example, last year I spent over 3,000 bucks in gas. That amount in 2001 pre 9/11 would have been 800…giving me 2,200 to blow on golf……and back then I made the same thing yet I played 5 times a week, now I play 1-2 times a month. You highlighted pace of play and $$ of golf as key contributors for declining play. 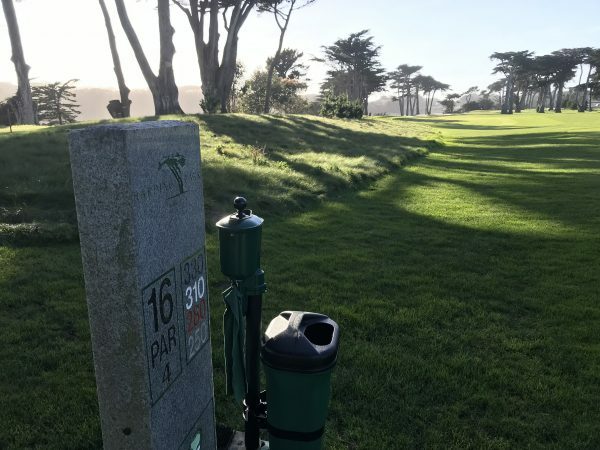 Aside from our ability to connect golfers, our ability to solve fundamental problems for golfers that are time constrained and price sensitive is what makes our product so valuable to the golf industry. Although pace of play will never be completely solved due to human nature, finding time to play with buddies when it is convenient for you IS important to a large majority of the golfing population. 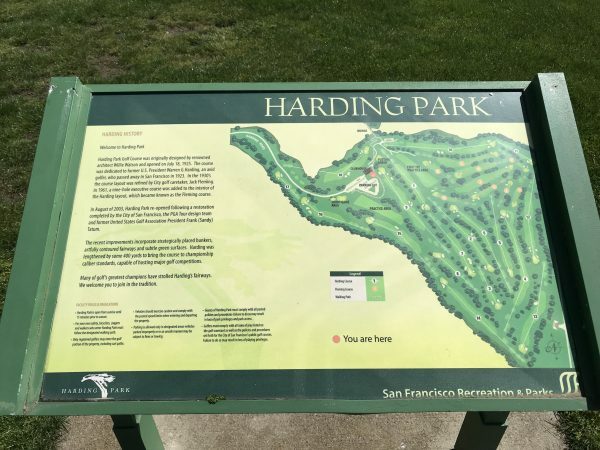 Also, finding golf courses in your price range IS hard if you are not fully aware of the rates at all nearby facilities. We strive to solve those problems. Helping drive awareness to local courses is also very important to us. Although you may not find the same overcrowding issues that NY courses face, that trend is detrimental to the local courses you play. Without enough golfers, they cannot sustain revenue, and if they cannot keep up with costs, they will be forced to shut down. 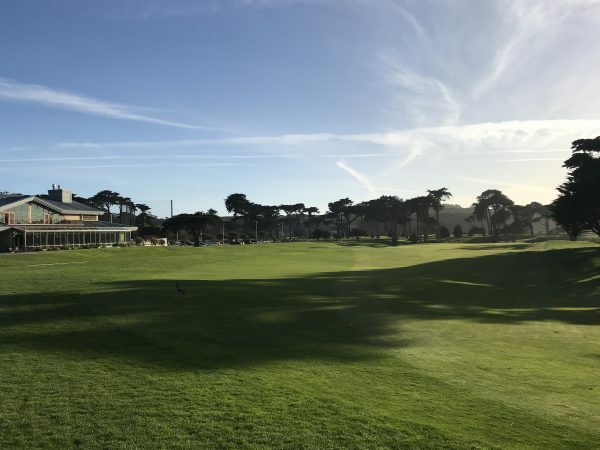 More than 150 courses shut down last year, while only 14 opened. That is a huge issue. 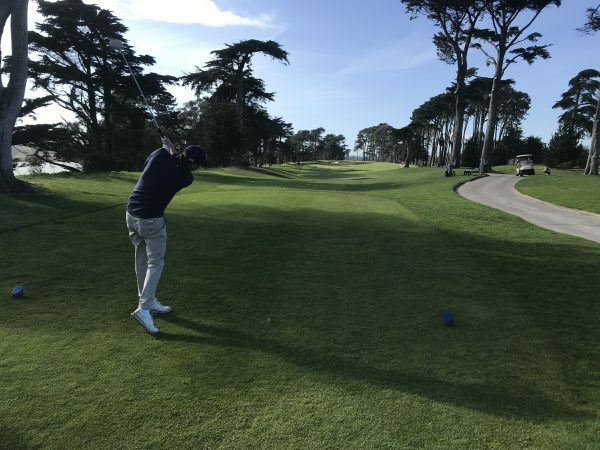 We are very passionate about bettering the game of golf and growing participation, so if you could please email me directly at pkratsios@golfmatchapp.com I would love to discuss your thoughts on how to best solve the issues you and other golfers you know typically deal with. Thankfully I am pretty sure this is not the answer… the game needs to be bit more friendly for the average player.. and until it is I just don’t see it maintaining a level of mass appeal the industry would like to have. Rounds are down. Have been for years. As the dollars poured in for new designs and better clubhouses the true sense of the game was diluted in a where it was more of a status symbol then a the wonderful game so many of us innocently played in the day. Looking back Tennis had its run when on a Saturday afternoon there was always a town employee to sign you up for an hour later in the day. Today every court you drive by is always open. The app sounds great. Too bad I have a droid so I can not look for some new faces to play with. AS- I like the comparison to Tennis because there are many parallels between the two, and I’m also a huge Jets fan, so I love your profile icon! The Android version will 100% be released at some point this year…stay tuned! American values are becoming more and more distant from golf values. That’s the big problem, IMO. It’s ok. Let’s just all move to Australia. Not sure what your point in giving digs to Eisenhower is. 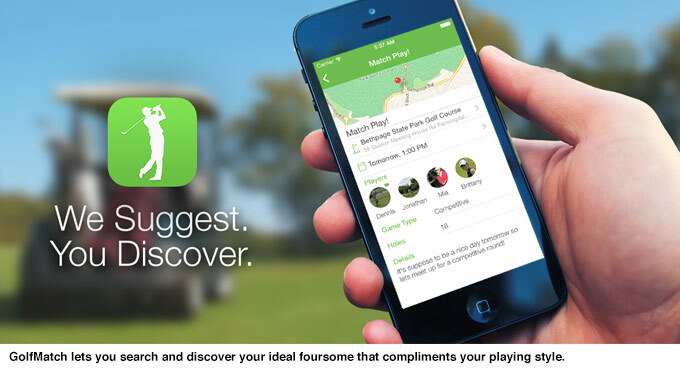 The app has nothing to do with the course you played. Many people don’t have the privilege to belong to North Shore, private clubs. They have to endure the old brick clubhouses of the muni. It’s odd that we all bemoan the decline of golf, but in the same breath act like royalty when we are paired up with people we judge to be beneath us. I have been playing golf all over Long Island my entire life and have rarely if ever, had to play with people who ruined my round. It’s a joy to meet new folks, not a burden. I too find meeting new folks on the golf course to be an absolute pleasure. 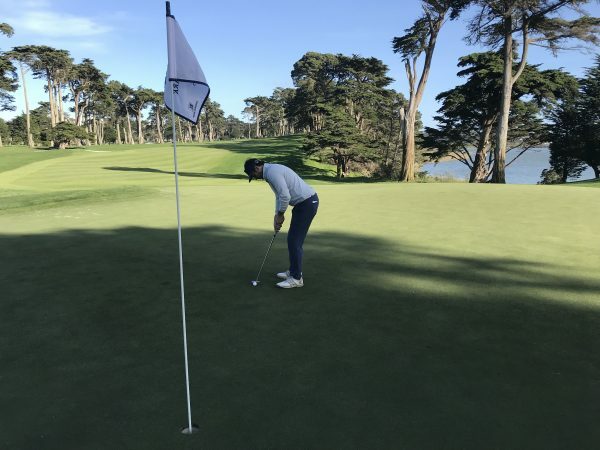 It is important to note that GolfMatch was not created to eliminate the idea of meeting new folks, it was created to help golfers find their ideal experience with golfers they want to play with at the courses they wish to play at. It is always nice broadening your network of golfing buddies. I think I would rather pair up with 22 year old hackers than 70 year olds who can still play decent. Pace of play is better with the young guys and they don’t piss themselves during their round. Honestly, that happened to me when I got paired with a 73 year old last year. I don’t think he knew he pissed himself, but he did. And just because you’re 100 years old doesn’t mean you don’t have to let me play through. When the old stop playing the young will start. Until then, I will have to suffer watching the elderly line up a six inch putt because it’s worth a buck!!! You mean the 22 year old hackers that don’t know when to be quiet, hit it all over the place, cant get out of the sand, wait for the green to clear when they are 235 yds out (but can only drive it 200 off the tee), spend the day on their cell phones and have no clue about etiquette???? I’m not saying your wrong, but we all have to recognize that golf is a recreational activity. 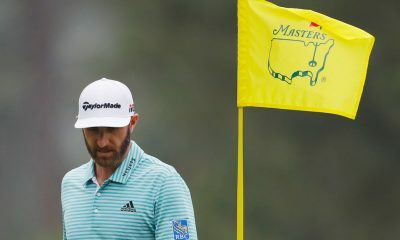 Not everyone will take it seriously and that’s ok. Hacking it around and screwing around on the course is someone’s idea of how to enjoy golf, and sorry but if you are not a professional that is relying on golf to feed your family you can’t criticize them. Also, the hackers are subsidizing your play because their green fees and beer money is helping to keep the course running. I don’t want to argue this, and I’m not saying your wrong, but this is the reality. Golf has long been in trouble because the attitude of the avid golfer to the casual rec player has always been one of contempt and smugness. It turns people off fast and scares those who might become serious players away before they even realize how much fun it can be. Join a private club and you’ll have a better chance of finding like minded players. Or play off hours (times when you only find avid golfers) at muni or public courses. The app is a great idea, by the way. 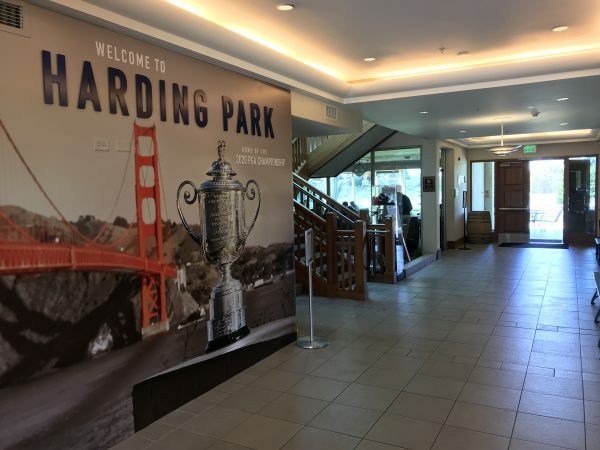 Not sure where you live or play, but luckily at Bethpage, even as a public facility is known to attract the better player and it shows. And while there are plenty of long rounds out there and no real marshals, the folks that play here luckily are not the 22 year old hackers, likely due to the demographics of Nassau County and Western Suffolk. Mostly 30s and up and most people can play, pretty well. And the ones who cant are usually marshaled by the group they are in. I dont care if you are a bad golfer, just dont be an idiot. IS that too much to ask? No I’m not a professional golfer, but I am someone when expects to finish a golf round in 5 hours, and its not my job to make sure that people who are learning the game can “screw around” on the golf course feel welcome. I play with good and bad. But they are mostly all “golfers”, not hacks who disregard the etiquette of this great game. Wow. That’s disheartening to hear. 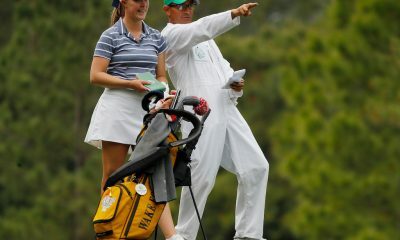 I’ve played with senior golfers and they usually teach me a thing or two. Very pleasant and usually shoot a better score than any young hacker out there. Pay attention and you might learn something. I will stick to playing silly early in the morning with random strangers. In two years I only met one group I didn’t like. Lots of interesting people play at 6:00am. Agreed Paul, I love walking up and meeting new people. You never know who you are going to meet and I have rarely played with someone that I didn’t enjoy getting to know. For the guy that gave the 70 year old a hard time, I have to say that one of my favorite rounds this year was with an older fellow how was a blast to play with. He didn’t hit it 300 yards but was great to talk to. In my experience, these are the guys that hit it straight and play faster than the younger guys who spend more time drinking and looking for their ball in the woods. Give him a break and show some respect! The same idea was made years ago in Japan. Great idea. I often end up playing on my own because my friends can’t golf at the same times as I can. 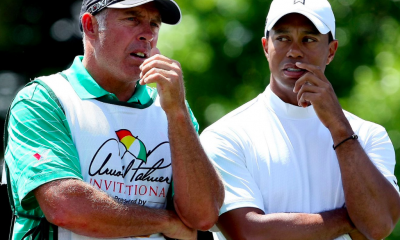 This would make getting paired up with like minded/skilled golfers much easier. That being said, usage will have to increase significantly before this app will gain any traction. It doesn’t do me much good if there are only 100 people in my area that use the app and only a percentage of them match up with me. I couldn’t agree more. It is definitely a product that works better with more users. 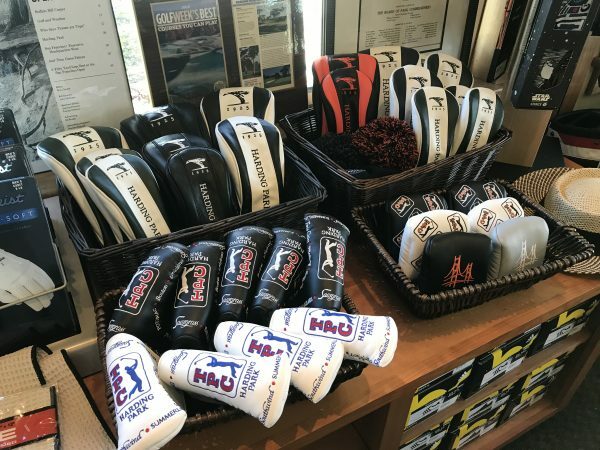 We have made it a priority to partner with some of the largest golf organizations in the United States to reach critical mass not only on a National scale, but also on a local level. The match feature allows you to invite your buddies via text or email to help organically create matches with golfers who have yet to download the app. Hopefully we can play together at some point this summer! I pair myself with random golfers every time I play on the weekend. Love it! Play with women, play with men, kids, older and younger people. Never had any issues – maybe because I just go with the flow and focus on enjoying myself. The only thing wrong with golf is 5 1/2+ hours rounds – a shrinking golfer base will help correct that issue and prices. Only the manufacturers/courses need a growing market – because that is how owners/shareholders think. If they are not growing, they are dying. Why are prices are always increasing? It is an artificial way of increasing sales without actually selling more. 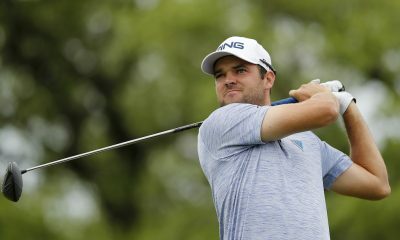 Philip- A shrinking golfer base definitely hurts the manufacturers and the courses, but the real shame in the situation is that if courses continue to lose golfers (aka revenue) they will slowly but surely close. Less golfers, means less wait on the course, which means a faster round….but that is a slippery slope! For sure, especially when our western business culture only knows grow or die. That being said, what I see really helping golf would be for people to play off the proper tees, which is never going to happen as long as the forward tees are referred to as woman’s tees. Another thing that could help and would work well with your app is for courses to set up times for playing based on handicap (official or just copies of a players last 5-8 rounds) and give priority to the better players. 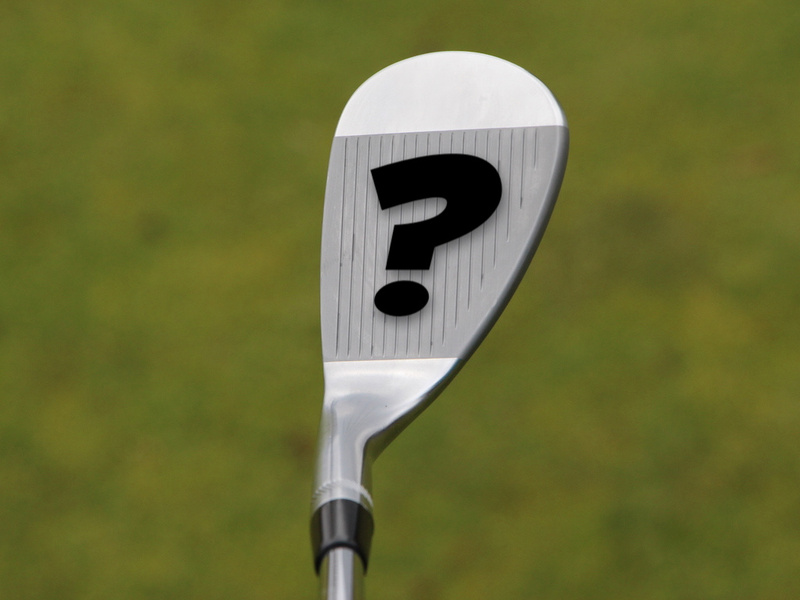 If the times do not fill up than higher handicaps can fill the slots. This would tend to put newer players at the end of the day when rates are cheaper and would maximize the number of rounds played in a day as the better players would tear through the course. A day could get divided into 3-4 blocks and as long as say 3 players were at the specified handicap level they could add a 4th person of any handicap as they would help to show the newer person that golf can be fun and not to long to play. I believe courses should have a limit on how long a group can be on the course. For example say 4 hrs. If your 4 hrs is up and you only completed 16 holes, it will teach you to play faster. not a bad idea. 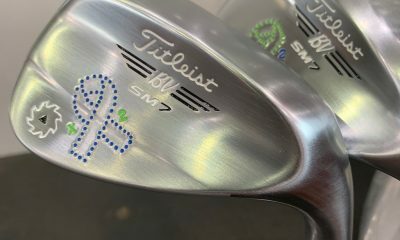 but as golfers, who are we saving the game for? what is our purpose in all of this? why should we be concerned with “saving the game?” what are we saving? it sounds to me like this game grew at a very rapid pace in a short amount of time and now everyone that’s heavily invested in it is scrambling to not let the market shrink more than it has. they are trying to scare golfers into thinking this is a life of death situation. when in reality, i would prefer a market correction. i would prefer for club prices to drop. i would prefer there to be less club companies. i would prefer to pay less for golf. i don’t need a $500 shaft to add 20 yards to my tee shot. professionals don’t need to make $1 million dollars for winning a pga tour event. the game was simple 20 years ago. it was fun and easy to enjoy. now its a chore. now its a headache. 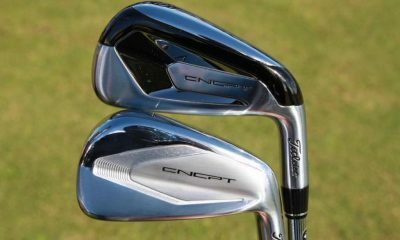 now you feel like a dumbass when you shoot 90 after investing $2200 into a new set of custom fit clubs. let the market correct itself. This is my very problem. As much as I like playing with older gentlemen, sometimes I just want to play with a group of young 20 somethings like myself. However, where I think this App would help find my target demographic, I don’t think it would help grow the game for my benefit. 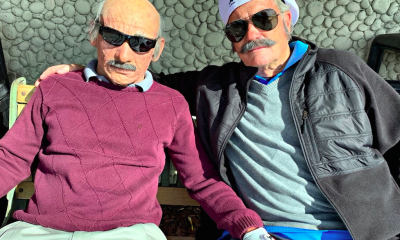 Sad, truth Golf is an oldman’s sport. I am 51 years old and play to a 5 handicap. Having spent 30 years in the Marines, I am still in great shape and have remained very athletic. Recently played with a friend in his early 30s (who has won the Outback Pro/Am and club championship) and the assistant pro in his late 20s, at his course. Played from the tips at 7000 plus yards and I out shot the assistant pro and hung with my friend for the most part. I like playing with people at any age as long as they have a game at my level, I will take that over playing with old or young golfers who are just hacking up the course. I hate when starters pair you up with golfers when it is pretty obvious our games are at different ends of the spectrum. Socially it all works out, but when you are their to play at a high level, it is a burden. Yea, I am a military kid born and raised and I also have been playing golf since I could remember(2 Handicap). The tips are my friend lol. But, I seldom ever (if at all) play with any young adults. Especially my friends because they are intimidated by my game. All I want is to do is have fun. But, like I said golf is not a huge sport for 20 somethings. The major golf demographic is between 35 and 55. I just want to play with the young adults who talk about everything, but the “real world”. Skill level/Handicap is not everything and if it is well golf is no longer just a game. Your friends are intimidated? I love playing with friends who are better than me. Lots to learn. As a fairly new golfer, one of the biggest issues I came across was finding people with similar skill level to myself to go out and play with. GolfMatch has alleviated this problem for me. 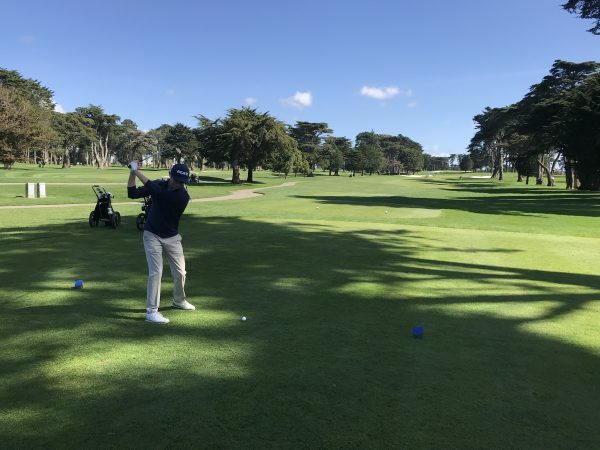 I have been able to set up multiple pairings with golfers in my area, with similar skill sets to myself which has resulted in a much more enjoyable round of golf for myself and the people I have met and played with from using GolfMatch. Just an all around great idea! I would recommend GolfMatch to anyone who is looking for that perfect pairing for a great round of golf!! Great Article!! Love what GolfMatch has done, and I’m excited to see where this App can go. This App can be extremely beneficial for golf courses.. 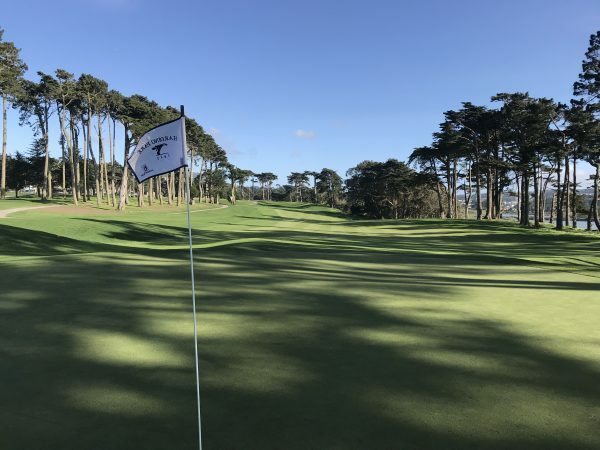 It seems ridiculous that with the technologies avaliable today, I can still struggle to find pictures or information on golf courses, and this often leads to me playing elsewhere, or courses I’ve played. Keep it up guys!! Did you miss the sign that says golf course/2nd left (if coming in from Merrick Ave). This is my home track… You just need to know when to play Eisenhower to play rounds under 4 hours like we do every Saturday and Sunday morning. Get there between 3:30A-4A to be one of the 1st five groups out on the Red. And that will back up the argument why golf is not growing. GolfMatch makes so much sense! I frequently play as a single and would jump at an opportunity to check GM before heading to the course. I can see that the app might also serve to organize tournaments and generate additional interest. Nice job! Now there’s an unfounded assertion if ever I’ve heard one. This is far from being something “we all know from experience.” It’s not true at all in my experience. The vast majority of people I’ve been paired with have been friendly and enjoyable to play a round of golf with. In fact, I can only remember a couple of problem pairings at all, and I’ve been playing golf as a single for most of my life. Rather than an app to make sure you never have to play with someone who’s not just like you, maybe some people need to learn to get along with different types of people a bit better. I think you need to realise it’s 2014, not 1914……..
Now that was funny! I live in Florida too and he had great points and should have left off the muni comment. He also failed to realize that Florida courses make their money on “snowbirds” coming down in season. Great article Rusty, but living in The Villages, Florida, I never have a problem being paired with golfers my age or handicap. With 36 executive Courses and 12 Championship courses, there’s always an opening @ one of the courses. Once the app is compatible with my Galaxy, I might be able to use it during the summer on Long Island. You guys come all the way out to Long Island and you play Eisenhower Red? You must be a fan of a 6 hour round. Next time you should try out some local gems like Tall Grass or Great Rock. Right…Because nobody has ever played a 5 hour round at Tall Grass or Great Rock during prime golfing hours. Especially Tall Grass when hackers hook the ball off 1 into the trees or slice it right into the fescue grass. I guess to play Eisenhower you have to do what my group of buddies do. Get to the course by 3:30A, set your chair down and sleep in your car so you are one of the 1st five groups out on Red. And if not, you will be first out on White. Then you can play in under 4 hours like us, and be home by 10:30…at least I can… I live close enough! And if you are lucky enough to be the 2nd group out on Red, because nobody beats that #1 group to the course, it’s like setting the pace with nobody in front. God Bless them. I will say Eisenhower has gone downhill since the new groundskeeper took over last year. She has ruined the course at times. It was an awesome track when they played the Champions Tour event there. Unfortunately that was a long time ago. But at the end of the day, they are still my home courses and don’t mind the early wake up calls and overnight sleeps in the car to tee off before 6:20A and be one of the 1st five groups. your friends seriously wake up that early to play at Eisenhower? Its justified to do that in order to play Bethpage Black or Red but i cant believe people do that for Eisenhower. If they are up that early why not drive the extra 20 minutes and hit up Bethpage? Even the green course at Bethpage is comparable to the Red course at Eisenhower. When i started out i played exclusively at Eisenhower until i realized how slow and infuriating all the courses are. Now i drive out east every weekend just to play a round in 4.5 hours. Better courses and better players. I have a family, so it all started out for me as a time issue. The earlier I play, the earlier I get home. Then I became a regular there and got to know the other regulars. Soon enough I find myself in a group of guys rotating ever few weeks who sleeps over. The Red is one of the best courses on LI. I actually live 5 minutes from Bethpage. I drive the 15 to Eisenhower. It’s easier to get on I feel and don’t mind. Every weekend I am one of the 1st 4 groups out and am at the point I actually can’t play in the middle of the day because the pace even if at 4 hours sets me back. I’m so spoiled because there is always a hole open in front and behind with the regulars at Eisenhower. We are almost like a dysfunctional family every Sat and Sun lining up, checking chairs, and looking out for one another. The Green at Bethpage does not even compare to the Red at Eisenhower. The Red is a Championship Course that held a Senior PGA Tour Event for many years (The Commerce Bank Championship) that plays 6,400+ from the white tees and over 7,000+ from the tips. The Green maxes out at 6,000 yards with sever elevation changes that allows the course to play even shorter on some holes. It’s basically an executive course equivalent to Eisenhower Blue. I would consider any of the Eisenhower and Bethpage Courses my home because I’ve played them so much over the last decade, since moving out to Eastern Nassau County. 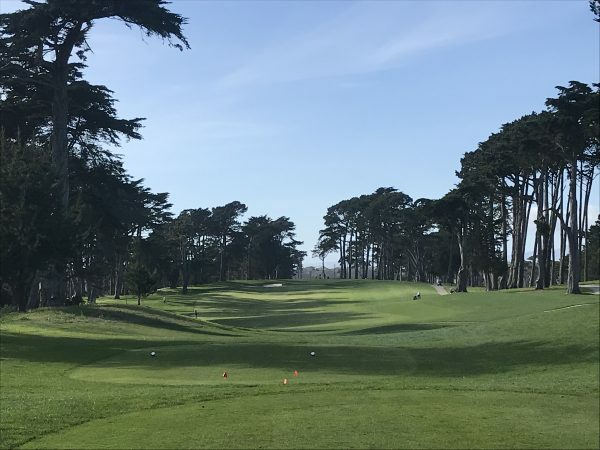 I too grew up playing the Eisenhower courses, and continue to do so. The head pro, Mike Wade, taught me to play at an early age, introduced my to The First Tee program, and has been a huge influence in the development of GolfMatch. I would love to play Eisenhower with you and your buddies in the upcoming weeks. 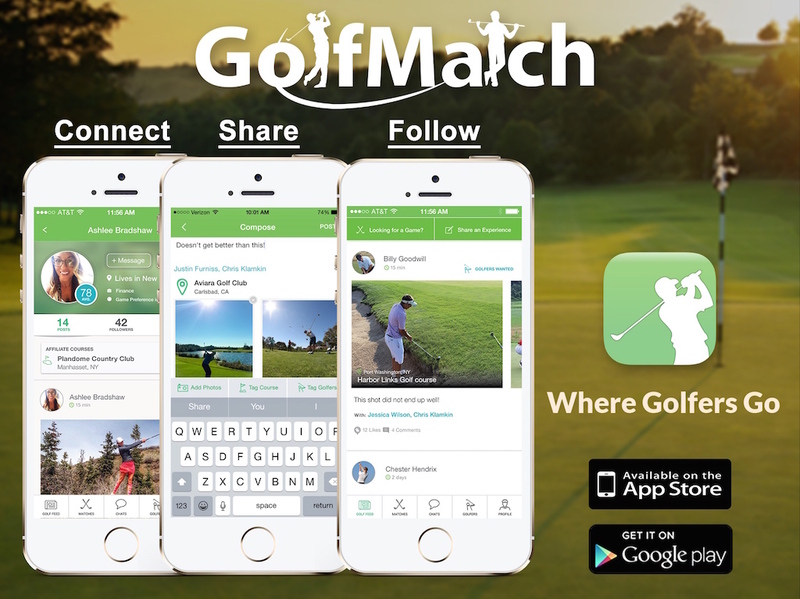 If you can create the match through GolfMatch, or join the one I organize, even better! Why would anybody get up at 3:30 am to play that dog track? Sounds like a terrible experience just to play golf in under four hours. Sounds to me like the head pro has no clue how to run a tee sheet. Golf match solves a real problem for the majority. Great idea! Because the earlier I get out the earlier I get home. When you have a family like I do, getting up when everyone is sleeping and only missing a couple of hours when the kids 1st wake up allows me to basically play as much golf as I want. There is nothing better than being the lead group at 5:40A on the White or Blue, 6:04A on the Red) and playing quick enough to not be waiting on a shot or have a group riding your rear end. I’d hardly call the Red Course a Dog Track. Holbrook CC is a dog track. Cantiague and Lido are dog tracks. The Red even though I think it has gone downhill the last year or so is still in GREAT Shape even on it’s worst days. 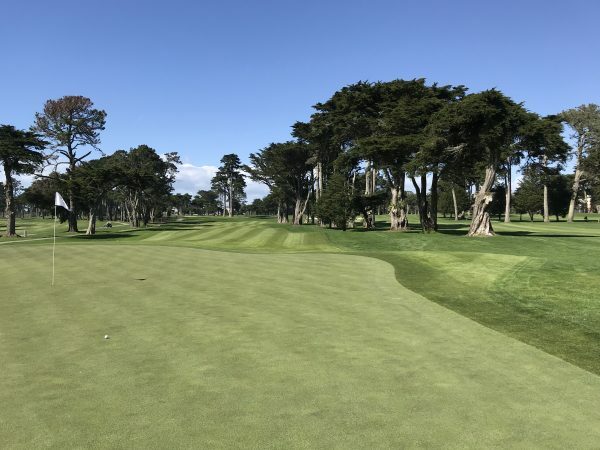 The White has it’s issues, the fairway bunkers, and some greenside bunkers are hard and rocky, but overall the greens and fairways are in great shape. The White course design can get a little boring with every hold being elevated and almost the same sand trap design, but it’s different from the Red and a nice change of pace. Now if only the idiots that put the pin placements down would stop putting them on severe slopes and crowns it would be a much more enjoyable experience. I swear I want to ring their necks on certain days. The Blue Course was once the worst. Quite honestly after they added new sand greenside the course has been fine. The fairway bunkers are similar to the white, rocky and hard, but at least the holes vary and offer a variety of entry points. The only knock on the Blue is it plays only 6,000ish yards from the back tees. If they added another 350-500 yards to the course it would be right in line with all other amateur courses. They were supposedly doing that a few years back where they started to create new tee boxes, but then just left the project undone for whatever reason. No way! I’m barely 1/3 thru my sleep at that time of the morning! We are Co-Sponsoring an event at Tall Grass July 27th. I think this will be right up your alley if you frequent that course! Stay tuned. Nice article to see. I haphazardly came across the app on the App Store while looking for a gps app, and I was pleasantly surprised with something different. The new match feature is awesome….totally brings the app full circle by grouping similar crappy golfers with myself lol…..kudos to those guys wish them nothing but the best!!! While on vacation last week in Florida, I used GolfMatch to find a game. Within 30 minutes, I was paired wih three gentlemen with similar handicaps as me and interested in the same type of game; Wager/Booze! 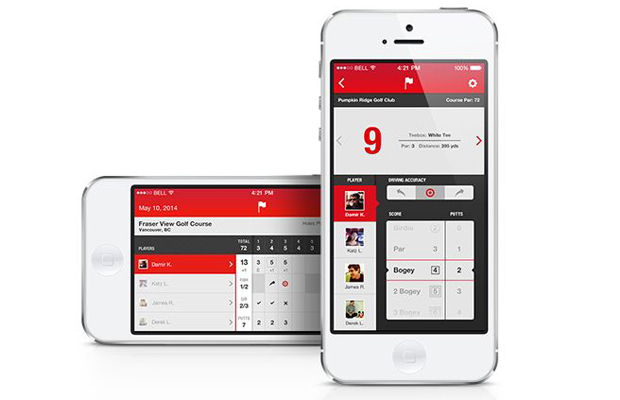 GolfMatch is a great app for golfers of all skill levels and interests. I look forward to continuing to use GolfMatch! Whilst I appreciate this is a USA-centric article, the game isn’t in decline in the rest of the world from what I can make out. For me the biggest barrier to golfers in the US is simple: cash. Golf here in the UK is inexpensive (including all the top courses) and therefore the biggest hurdle of all isn’t there. There is also a massive over-saturation of the equipment marketplace, which simply didn’t exist even 10 years ago. I play with 6 year old blades and people look in my bag like I’m a freak. Not available for Android?? The biggest market share OS for smartphones and they only release it for Apple? As one of the Co-Founders, I can assure you that we will be releasing an Android version shortly. Per the article, we have a small team and are working on perfecting the iOS platform before we tackle Android and Web. We look forward to hopefully having you on the Android version in the near future! Fantastic reply! I will definitely try it out when available. Thanks for the reply! Most apps are released on IOS first because they don’t need as many iterations of it. Typically takes a few more months for the android app to come out (see Cyberdust a Mark Cuban app) since they need it for different operating systems, screen sizes, etc. I’m sure its in the works just takes lots of engineering. It’s always going to be that way. It’s just the reality of development, as Dan mentioned. This app looks awesome, a great way for singles to pair up with people before heading out. Downloading it as we speak. As a former BU alum as well, Go Terriers!